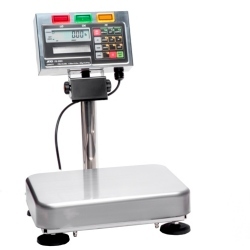 A&D FS-i Series of Checkweighing Scales feature large, bright comparator lights, stainless steel construction, and three user-selectable resolution levels. FS-i Checkweighers satisfy both NSF and HACCP requirements. These durable scales are ideal for food processing and over / accept / under check weighing applications. 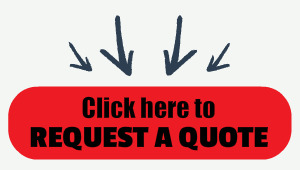 NTEP Certified and Measurement Canada approved models available. The A&D FS-i series scale provides for easy check weighing of products. There are two comparison modes according to number of parameters to set, “Target weight setting mode” and ”Upper & lower limits weight setting mode”. The comparator results are indicated by HI (yellow), OK (green) or LO (red) lights on the display. The results are also audible by the buzzer inside the scale. • Large, Bright Comparator Lights — Red (LO), Green (OK), and Yellow (HI) lights are easy to read under any lighting condition. • Three Resolution Levels — Up to 1/17,500 resolution allows for high precision weighing with tight tolerance specifications. • 60-Segment Adjustable Analog Sweep Display — HI/LO Limit, Target, and Full Range modes are ideal for filling applications. • 100-Item Data Memory — Target and Limit values for frequently weighed items can easily be stored and recalled.